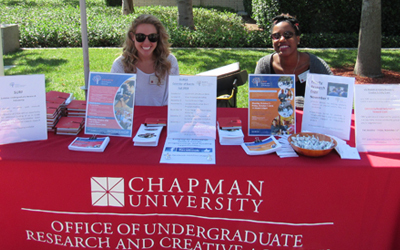 Student Scholar Ambassadors are a small group of outstanding undergraduate researchers from a variety of disciplines. 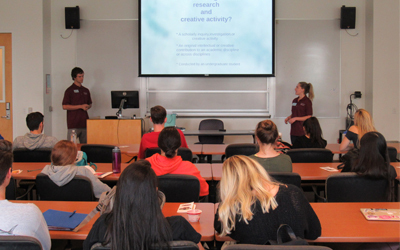 The Ambassadors conduct outreach activities in conjunction with the Center for Undergraduate Excellence and are available to share their experiences along with the opportunities available through C.U.E. If you would like to have an Ambassador attend your event or speak to a group of undergraduates, please submit a request by clicking the button on the right side of the screen. Request a Student Scholar Ambassador! Meet the Student Scholar Ambassadors!